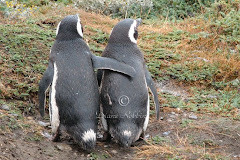 We spent a few days in Quito between our Galapagos trip and our Peru trip. We did enjoy our visit. The historical part of the city is beautiful. There are some excellent restaurants all around the city. And the shopping in the artisan market is good. But there were a few things that disturbed us. One is the traffic. Loads of it. And they drive like maniacs. I've seen some bad driving in my life but nothing like this. Cars would squeeze into spaces with, literally, just inches to spare. In some places we would see, on the roadway, a silhouette of a person. It represented the fact that a pedestrian was killed there. The idea was to get the drivers to slow down. Not a chance! We took day tours out of the city. The garbage along the roadways was awful. A real turnoff in what is an otherwise beautiful country. Really upsetting to me were the Indian children that we saw begging. Some of them were so young that you would wonder if how to beg is the first thing that they are taught. I swear some of them weren’t old enough to talk…they just held out their hand. And then there are the armed guards all over the place. Every hotel, including ours, had an armed guard out front. An upscale clothing shop I wanted to enter had to have the door unlocked first. Ditto on the tour company that we visited to make our day trip plans. With all the armed security guards all over the place one would think it would make you feel safer. It doesn’t. When we went out in the evening, we carried everything we needed in our pockets. That meant that my purse and my husband’s digital camera stayed in our hotel room. Gas prices keeping you closer to home? You and a lot of other people. Which is why when I saw this site I had to take another look. It describes itself as a National Park Visitors Guide: Where to Stay, What to Do and See, Make Your Plans to Explore A National Park. Having visited several national parks last year, I felt I had a frame of reference for reviewing this site. So I naturally started by clicking on the links to parks I've visited. On the sidebar you can find information about the history of the park, things to do, accommodations and much more. I particularly enjoyed reading the links about wildlife and geology of the parks. If you'll be visiting a national park, eXplorApark would be a great site to use to start making your plans. During our visit to Quito, I wanted us to have an opportunity to see something of the countryside. 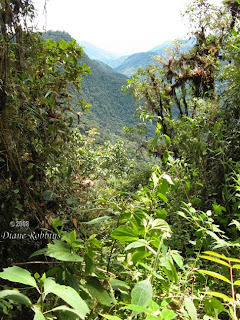 One of our day trips took us to the Bellavista Cloud Forest Reserve. We made our arrangements though Safari Tours. I got their name from a travel forum I have received many excellent recommendations from. While most everything went well, one particular part of the trip was a disappointment. We had no difficulty finding the office, within walking distance of our Quito hotel. The staff was very friendly and very courteous. The woman who worked with us made us feel comfortable and we went ahead and made our arrangements. Everything was paid for in cash and we received our receipts. Our arrangement for Bellavista was for a full day tour, with pickup at the hotel, a guided hike and lunch at the reserve, plus some free time. Our driver picked us up on time. He was friendly and courteous and told us he needed to pick up another passenger. No problem as we didn’t expect it to be a private tour. The vehicle we were in was obviously his own. It had definitely seen better days. Our ride out to Bellavista took us over cobblestone roads and the ride was very interesting, to say the least. We stopped for a break, about ½ way there and our driver had hot chocolate and commercially wrapped slices of pound cake for us. He definitely was doing his best to be a gracious host. 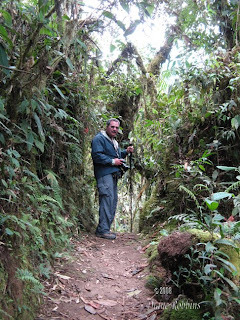 We arrived at Bellavista and learned that there are several hikes available. Here is where things fell apart a bit. It turned out that our driver really knew nothing about the flora or fauna in the area. While we told him we wanted an easy hike, he took us on the ‘medium’ hike because that was the only one he was familiar with. Fortunately my husband and I had our hiking sticks with us. Without their help, I think we’d still be sitting on the trail, waiting for someone to come and get us. So our ‘guided’ hike was anything BUT ‘guided’. And that was a disappointment for us. While the scenery was spectacular, the birds that the reserve is famous for were no where to be seen. We learned while we were there that guided hikes are given in the early morning and in the late afternoon, when the birds are more active. We did have an excellent lunch and some free time after lunch. 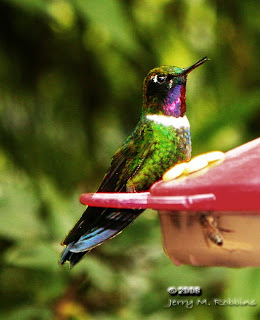 We took advantage of that time to watch the beautiful hummingbirds at the many feeders along the walkway. 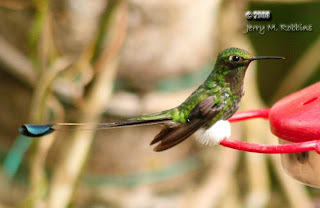 While we could have watched them for hours, it finally became time to return to Quito. In retrospect, we should have handled our visit differently. As you can see from the Bellavista web site, they offer their own day trip in which they do specify that it is a ‘guided’ hike. But, the best thing would have been to spend at least one night there. 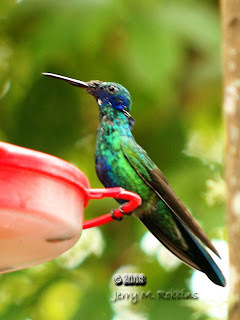 If you are interested in birds and the cloud forest, I would highly recommend at least a one night’s stay. At least they aren't on USAirways or Delta. If you book your award travel with USAirways on line, there is a $5.00 fee. What for I have no idea. No human other than me is involved. I'm sure other airlines won't be far behind and will soon be adding their own fuel surcharges. Looking for a quick, nutritious snack when traveling? Pack a jar of peanut butter. A plastic jar is easy to pack, doesn’t need to be refrigerated, provides a great source of protein, and makes a quick and cheap meal when you pair it up with some local bread. Just remember to pack a plastic knife for spreading it. Travel with a twist tie in your pocket. Among other uses, a twist tie can be used to replace a lost screw in a pair of glasses. Strip the twist tie down to the bare wire, insert in place of the screw and twist tight. Pack a glue stick in your bag. If you journal, and like to keep things like ticket stubs for mementos, glue them right into your journal as you travel. Beats bringing home an envelope full of stubs to sort through later. I’ve also used a glue stick to leave notes on a mirror. And also using the mirror, I’ve organized our tour (or other) tickets in the order we’ll need them. If you make, and then cancel, hotel reservations on line, be sure to print out and keep a copy of your cancellation confirmation. If you find a charge on your credit card as a ‘no show’ you’ll have the documentation that you need to prove you cancelled well in advance. I keep reading more and more about airlines grounding planes and cutting staff. That has almost become old news. Now, along with these cutbacks, comes elimination of flights. And not just cutting daily flights to/from a city from 10 to 6. Some cities are losing total service from an airline. For instance, American Airlines just announced that it is cutting out, totally, service to six cities. My city is not one of them but I'm afraid, down the road it will be. All we have now from American is American Eagle service to Chicago or Dallas. United is pulling out of Ft. Lauderdale and West Palm Beach. Plus it is also dropping some international legs, as is American. What is particularly disturbing is reading how flights are being eliminated at hubs. If the airlines can't bring traffic into their hubs, then that is really bad news. I have to make some flight arrangements for a trip a couple of months down the road. What airline do I choose? An airline that might be downsizing from my city? An airline that might disappear as it merges with another? There have been times I felt comfortable making flight arrangements 10 months into the future. Not any more. Sounds like a great idea, doesn't it? Air Canada has had it in place for about a year. Delta and Continental have rolled out tests on their program. So far it seems to be working just great...for the airlines. But if you are looking for frequent flyer miles it might not work out too well for you. If your miles don't show up, and this is not uncommon when you fly one airline and are looking for miles on an affiliate airline, your boarding pass is the proof of travel that you send into the airline. But cell phone check in doesn't give you a paper boarding pass. No miles? No pass? No miles!! So until the airlines come up with a better way, you might want to check in on line or at the airport. Then be sure to hang onto your portion of a paper boarding pass until your miles have been credited. Want to taxi to major tourist sites in a country where you don't speak the language? Buy picture postcards of the sites you want to visit. Show the postcard to your taxi driver and you are on your way. Oh....and don't forget to pick up a business card or brochure from your hotel so you can do the same when it's time to head back. At restaurants in Europe, be sure to check the menu prices carefully. In Lisbon, it was more expensive to eat at a table outside than it was to eat inside the restaurant. In Italy, it is sometimes cheaper to have your coffee and sweet role standing by a tall table than sitting down. On the road with the kids? Tired of hearing 'Are we there yet'? Get a map for each child and highlight the route. That way they can follow the trip using road signs and they will know where they are and how much further they need to go. Do you use single use cameras? Label them. That way your cameras won't get mixed up with anyone elses single use camera. If you are in Salt Lake City on a Saturday, you can hear a free organ concert at Temple Square. If you are in Amsterdam on Wednesdays, sit in on a free rehearsal of the world-renowned Amsterdam Sinfonietta orchestra (Concertgebouw, Concertgebouwplein 2-6, 011-31/20-671-8345, concertgebouw.nl). When visiting museums and historic or religious places, check out their rules on taking pictures. Some allow pictures with no flash. Some don't allow pictures at all. Obey the rules because the guards don't hesitate to confiscate film or memory cards. Book the first flight out in the morning. Chances are your plane arrived at the airport the previous evening and you won't have to worry about an incoming plane which could be subject to delays. Save money on a tour of New Orleans French Quarter. The French Quarter is a National Historic area and is part of the National Park Service. Park rangers lead free daily walks to the Mississippi River, just over the levee from the visitor center, to share the story of how it all began. Group size is limited to 25. In my 'travel' reading I turned up a couple of tips for travel in Italy that I felt were worth passing on. If you are traveling to Pompeii, be sure pick up the free guidebook and map from the window near the restrooms after you buy your ticket. There is minimal signage in the city and the book and map are a big help. And they're free. Be prepared for the weather, whether sun or rain. There are virtually no shelters once you are admitted. And wear proper shoes as the paths are uneven stone surfaces. In major train stations, when looking for ticket sales offices (biglieterries), look for the signs that point travelers in the right direction for restrooms, exits, platforms, etc for directions to the Trenitalia office. There might be only one Trenitalia ticket office in the station but loads of travel agencies displaying the Trenitalia logo. At a travel agency you'll like pay a sales commission for your ticket so be careful where you are purchasing it. Venice may not be a good city to visit if you have trouble climbing stairs or walking. Most of the smaller bridges require climbing 14-20 steps. Plus, to cross to the other side of a canal might require backtracking to a bridge and, therefore, lots of extra walking. If you do go, be sure to use a good travel map with lots of detail, the better to help you with finding the shortest distance and minimizing the amount of walking you have to do. Here's another one on being nice to the cleaning staff. Some hotels don't allow a late checkout. If you would like to stay in your room a bit longer, look for your housekeeper. Ask her if she can clean your room last. Give her a nice tip and enjoy your room for a few more hours. Looking for a better hotel price? Call the hotel directly and ask for the very best price. Still not happy? As them if they can do any better. Tell them what you are looking to pay (Gee...I was looking for something under $100.). If they have a lot of unbooked rooms for the night(s) of your stay, you just might get the rate you want. If you'd like to visit multiple cities with one frequent flyer ticket you just might be able to do it, particularly if one of those cities is your airline's hub where you'd have to change planes anyway. Call your airline. You might be able to spend a few days in the hub city, then continue on to your other destination, and do it all on one frequent flyer ticket. Don't assume that package deals offer the biggest bang for the buck. Get on the e-mail list for the hotel, airlines, car rental, etc that you want to use so you get alerted to specials. Add up all the components before booking the package. You might be surprised to find out that each part booked separately actually saves you money. If you need a dark room to sleep in you probably get pretty annoyed at window drapes that don't close completely. Throw some clip clothespins in your suitcase to take care of the problem. Or grab a skirt hanger out of the closet. The clips on a skirt hanger will work well also. The Newbie in this case is my 8 year old granddaughter. Grandpa is staying home while grandma and granddaughter are taking off for a week in Florida. We are going to visit my Dad, her great grandfather. My granddaughter has been in Florida before but that trip was by train. This will be her first time on an airplane. I’m sitting at my local airport right now, getting ready to fly to her city. I’ll be spending the night there and then, tomorrow we’ll be flying to Florida. I sent her a packing list. I’ve probably had a dozen phone calls confirming what she can and can’t bring. I’ve been very specific about what I want her to wear on the plane. For instance, I want her in sneakers and socks so when she goes through security she isn’t barefoot. She loves spaghetti strap tops in the summer but I told her she couldn’t bring any on this trip. Living in the northeast her skin is not ready for the June Florida sun. So I get a phone call asking if sleeveless tops are OK, where the ‘strap is 3 or 4 inches’? And it’s been like that, with the call volume picking up significantly this week. Of course I don’t mind. Now I’m trying to figure out how to explain all that goes on with security without scaring her. I’m sure she is already quite nervous, which is understandable. I reserved the aisle and window seat on the plane, hoping there will be no one in the middle. So I need to explain that to her also. This is definitely a new experience for both of us. Just an FYI to my readers on how crazy airfare are (as if they didn’t already know). Roundtrip air for tomorrow, from her home city to Florida, was $223. Roundtrip air from my airport to hers, a distance of about 350 miles and a puddle jumper flight of about an hour, was $485!!! Fortunately I had enough frequent flyer miles and was able to get my ticket that way. 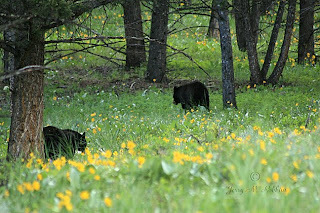 On our visit to Yellowstone National Park, we were very fortunate to see both black bears and a brown bear. And not only did we see both kinds, but we saw them all on the same day. Of course one is supposed to maintain their distance from the bears. By the time we got to the black bears, there was already a ranger in control of the traffic, moving everyone along. But when we spotted the brown bear we were one of the first of many cars to pull over. The bear was moving around a wide gully, which was about 15 feet below road level, and it was several hundred feet from the road. Finally, a ranger shows up and starts moving the traffic along. One car, in the middle of the road, tells the ranger he can't go yet as he's waiting for his friend. The ranger asks where his friend is. The driver responds "Down there". The friend was down into the gully to get his pictures of the bear!! You should have seen the look on the ranger's face, like "UGH! These DUMB tourists!" Carnival Corporation, which owns Carnival, Costa, Cunard, Holland America, Princess and Seabourne has raised the fuel surcharge from $5 per day per person to $7 per day per person, not to exceed $70-$98 per cruise (with qualifications). Azamara, Celebrity and Royal Caribbean have increased the charges to $8 per person per day, up to $112 per cruise. And Norwegian Cruise Line is at $7 per person per day, with no maximum specified. Some prices quoted included the fuel surcharge. And some do not. Be sure to specifically ask your travel agent about fuel surcharges so you don't end up with any unpleasant surprises. The site is called World Sites Atlas: Using Geography To Explore The World - And The Web! Yes, it has your typical Hotel and Travel tab. But what makes this site worth adding to your Favorites is the Maps tab and Destination Guides tab. The Map tab gives you access to maps of 'Continents and Regions', 'Countries and Territories', 'U.S. States and Canadian Provinces' and 'U.S. Cities'. I checked out a few for areas I am familiar with and they loaded quickly and were clear and easy to read. I did the same with the Destination Guides tab. Choose a country and get an introduction to the country which is typically several paragraphs long. Then, along the left side, are links to info such as Where To Go, Health Advice, Costs and Money, Festivals and Public Holidays and a lot more. This is definitely an information loaded site I'm going to visit when it's time to plan my next trip. Rising fuel costs are certainly a major factor in keeping people close to home. The overall state of our economy isn’t helping either. Not to mention the exchange rate between the U. S. dollar and foreign currencies. Even Canada is no longer a bargain. Recognizing this, with a little research on the internet, you can find discounts and promotions for many cities in the U.S. Destination DC, which markets tourism for the nation’s capital, has special offers for 3-night weekend stays. There are special 2-night packages at gophila.com. And the Aspen Chamber of Commerce has promos for visitors of 2 nights or more. You’ll find “All-American Offers” at Travelocity and discounts off U.S. destinations at Expedia. Rising airfare is going to be the big challenge this summer. You can offset the rising cost of airfare by heading to a destination that is offering deep discounts. For instance, with the opening of a bunch of new hotel rooms, Las Vegas is now a great place to look for a bargain. You can easily find rooms at Bally’s, Harrah’s or the Mirage for under $100/night. Think out of the box. Check out ski resorts for summer promotions. Look at the Myrtle Beach area. Seem strange as this is definitely a summer vacation spot? The key here is that the area has added, over the last 5 years, nearly 12,000 new rooms with the construction of many oceanfront condominiums. Like Las Vegas, new rooms helps to keep the prices down as the hotels and rentals compete for tourism dollars. And keep an eye out for gas rebates. Some drive-to destinations, knowing the impact of the high gas prices on their customers, are offering gas rebates based upon various criteria. For instance, Inn at Lake Joseph in Forestburgh, NY has a promotion in place for guests who stay at least two night. Rochester, New York is also know as The Flower City. 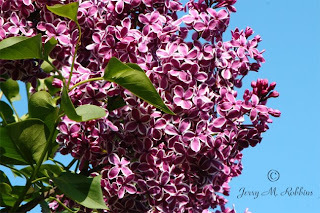 Every year, in May, spring is welcomed with the Lilac Festival. 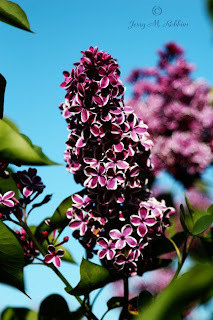 In Rochester's Highland Park there are 1,200 bushes, displaying more than 500 different varieties of lilacs. The flowers range from pure white to deep purple and from lightly scented to extremely aromatic. Since it had been a while since we had gone to the festival, on a beautiful spring afternoon, we decided to go. It is amazing to actually see all of these varieties. 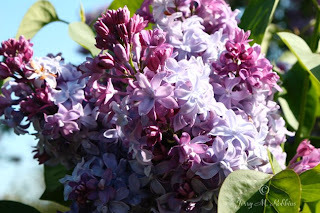 Besides the different colors and the different scents, there are other things that set the different varieties apart like small and large blossoms. 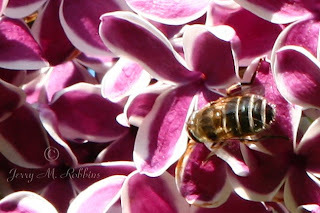 Attending the Lilac Festival really gives one an education in lilacs. I just did a post on United Airlines cutbacks. Now, Continental Airlines announces that it will cut 3,000 jobs. But to me, here's the REAL big news. The company's chief executive and president have said they will decline their salaries for the remainder of the year. WOW!! Now that's impressive. Kudos to them! Continuing with information about the downsizing, Continental also plans to reduce capacity and will ground 67 mainline aircraft. Now the obvious question: Which airline is next? United Airlines tried very hard to find another airline to merger with. However, with all those efforts failing, it was time for United’s CEO Glenn Tilton to make some hard decisions. In the downsizing, domestic flying will be hardest hit with a 17%-18% reduction in the number of available seat miles by the end of 2009. This will be accomplished by the retirement of all of United’s 737s, which is actually a very good thing. These planes have become pretty ugly inside, in bad need of refurbishment. A lot of frequent flyers won’t be sorry to see these planes go, to be replaced by nicer Airbuses and 70 seat regional planes. United’s ‘low cost’ option, TED will be eliminated. This will mean the return of First Class seats, allowing those passengers who are flying in a premium class to stay in a premium class (on planes with more than 70 seats) throughout their entire itinerary. That’s a very good thing, too. On the international side, 6 747s, the absolutely most uncomfortable plane flying today, will be eliminated. Good news, of course, for the international traveler. More on the domestic site, United Express will be up. So domestic capacity will be down about 13%. As expected, less flights and smaller planes will make up the bulk of the reduced capacity. The other reduction will be by the withdrawal from some markets. It’s nice seeing United making these changes and doing what needs to be done to try and make the airline profitable. Unfortunately, for the traveler, it will mean higher fares and less flight options. And for United employees, it will mean some job losses. Here's a picture of me doing what I try to do, at least once, in every city that we visit. Whether it's hard ice cream, or soft ice cream, I need to check out the local version of chocolate. Whether it's trying organic ice cream in Puerto Maldonado, Peru, or the local ice cream shop in West Point, New York, I'm always available to give the local version a try. I have the worldwide edition of this book so was intrigued when I saw the USA/Canada edition. I definitely needed to buy it and check it out. Like the international book, this book, too, has a little bit of everything. The 'must sees' are not going to appeal to everyone. That is made clear in the introduction in both books. After all, not all of us want to know the best places to ski or to sail or to fish. But if you know what you like, and narrow down to those particular reviews and recommendations, the book is very helpful. I read it both before and after our northwest U.S. trip. It helped me make decisions on what to see and do and we were not disappointed with the advice. Whether you'll just be visiting your own little corner of the U.S., or taking a longer trip cross country, I believe you'll find buying this book a worthwhile investment. Big things going on in Orlando to tempt you to bring the kids and spend your money. Disney is taking advantage of the huge popularity of it's High School Musical. Now at Disney is High School Musical 2: School's Out!. You can join The Simpsons at Universal. The Simpsons will have their own mini-amusement park. There will be thrill rides, dark rides and "live" shows. New at Seaworld is Aquatica. It has high-speed thrills, 36 water slides, six rivers and lagoons, close-up animal encounters, undersea adventures and more than 80,000 square feet of beach area. It opened to the public in May. Moving a bit west, and trying now to be outdone by the rest, Busch Gardens Tampa Bay is creating Jungala. To be set in the Congo, the 4 acre area will have exotic creatures, zip lines over tree tops and will allow the visitor to connect with the inhabitants through up-close animal encounters. Check out the site www.besttimetogo.com. The site includes information for several countries on monthly weather patterns, public holidays and estimates for daily costs for a traveler. It has restaurant information with links to their sites and menus. Also included is hotel, hostel and B & B information. The site also includes advertising so do your usual research before making any purchases. Wouldn't it be nice if you could count on your hotel room being spotlessly clean? The rug might be vacuumed thoroughly and the shower stall is clean. Toilet looks clean too. But what can't you see? Let's start with the bedspread. Most hotels do not wash the bedspread in between guests. So grab that bedspread, tear it off the bed, dump it in the corner and don't touch it or look at it for the rest of your stay. Make sure you travel with antiseptic wipes. Why? YUCK to the TV remote and the telephone handset. Wipe them both down thoroughly with your antiseptic wipes before using them. If you've got plastic sealed glasses in the bathroom, consider yourself lucky. Maids have been caught, on video, simply wiping out used glasses and replacing them for the next guest. UGH! If you've got real glasses, wash them and then let them sit under the hot running water for about 3 minutes. There are some things, though, like athlete's foot fungus, that the cleaning staff can't do anything about no matter how hard they might try. Advice: Never go barefoot in a hotel room. And in the shower, wear shower slippers.